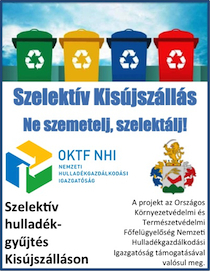 Participation: The project involved 210 citizens, notably 60 participants from Gmina Wilamowice (Poland), 20 participants from Kisújszállás Város Önkormányzata (Hungary), 30 participants from Obec Horna Suca (Slovakia), 30 participants from Mestsky Urad Dolní Benesov (Czech Republic), 30 participants from Mesto Rajecké Teplice (Slovakia), 20 participants from Grad Zupanja (Croatia), 20 participants from Grad Klanjec (Croatia). The day of 28/08/2018 was dedicated to closer approximation of the cultural heritage of Wilamowice. Workshops with the participation of regional artists "Culture connects nations - it does not divide" and workshops familiarizing with the technique of documenting their relations in the form of historical notation were organized. During the next workshops, methods of preserving cultural heritage, including methods of field work in historical heritage objects, were presented. The workshops was complemented by a lecture about socio-cultural problems of ethnic minorities in assimilation with the environment and lecture about hate speech towards culturally diverse ethnic minorities (immigrants and emigrants). Discussion about impact of Cold War communism and persecution on regional identity also took place. At the end of the day integration meeting dedicated to regional cuisine was made. The day of 29/08/2018 was dedicated to preparation of the theater performance entitled "We survived thanks to memory". To do this a theatre workshops about the rules of interesting exposure was made. A scenario of the performance which was prepared together with project participants during project implementation was also presented by Justyna Majerska-Sznajderi Alicja Dusik (from NGO "Wilamowianie"). In that day the lectures discussed the role of the EU in building regional identity and cultural memory was made. In the afternoon first meeting of the "Meetings with living history" series took place - meetings with people who witnessed cultural persecution. The day of 30/08/2018 was dedicated to theme of the EU cultural heritage. A several workshops in that day took place. Thanks to the lectures presented by representatives of the University of Warsaw, the participants knowledge on the role of ethnic minorities in shaping the community was significantly expanded. During late afternoon project Partners trying to convince Eurosceptics that cultural heritage should not be associated with closure. The project partners tried to prove that it is just the opposite, i.e. that thanks to integration we can open up to other cultures. In the afternoon second meeting of the "Meetings with living history" series took place. At the end of the day workshops leading to the exhibition "Little nation - Great culture" were held. It was first phase of creation the exhibition on the basis of the materials collected during the project. The day of 31/08/2018 was dedicated to regional culture. Project participants in that day discussed about the cultural heritage of partner municipalities and about tools which EU use for its preservation and development. A significant part of the day was dedicated to Wilamowski language workshops. Discussions and workshops on cultural heritage led to the creation of a lesson scenario concerning the cultivation of regional heritage for use by teachers in partner municipalities. On the basis of the materials collected during the project a city game was also developed regarding to cultural persecution of ethnic minorities. During the day project partners prepared also together Agreement named "Tolerance for cultures". The day of 01/09/2018 was dedicated to common theater workshops and discussion about culture. MrMaciejMętrak form Warsaw University made presentation about "The role of the individual in building regional identity and cultural memory". It was free open discussion about solidarity of EU countries for open access to culture and cultural persecution through totalitarian systems (nazism and communism). It was also discussion with eurosceptics - whether cultural heritage must mean xenophobia, lack of tolerance and closure. The day of 02/09/2018 was dedicated project results presentation, mainly theater performance and exhibition. It was also time for common discussion provided to answer the question if integration within UE means isolation of nations and regions or cultural integration. On the basis of the materials collected during the whole project and on-going workshops, an exhibition on the persecution of ethnic minorities "Little nation - Great culture" was finally created. The result of the theater workshops was the preparation of the performance called "We survived thanks to memory", which was presented to wide audience. Important part of the day was also the presentation of the "Meritorious for cultural heritage" awards. The culmination of the project was the signing of a jointly prepared Agreement named "Tolerance for cultures", in which partner municipalities undertook to support each other and initiate activities aimed at spreading tolerance for cultures, by building attitudes based on equality and non-discrimination against cultural diversity.